In this three-part series, the TransPar Group of Companies (TPGoC) takes an analytical look at the driver shortage plaguing the school transportation industry. By analyzing system efficiencies and budgetary considerations, TPGoC offers an approach to how school administrators and transportation professionals alike can look beyond the surface issues and understand how a combined approach of technological expertise and creative retention strategies can go a long way towards solving the driver staffing crisis. 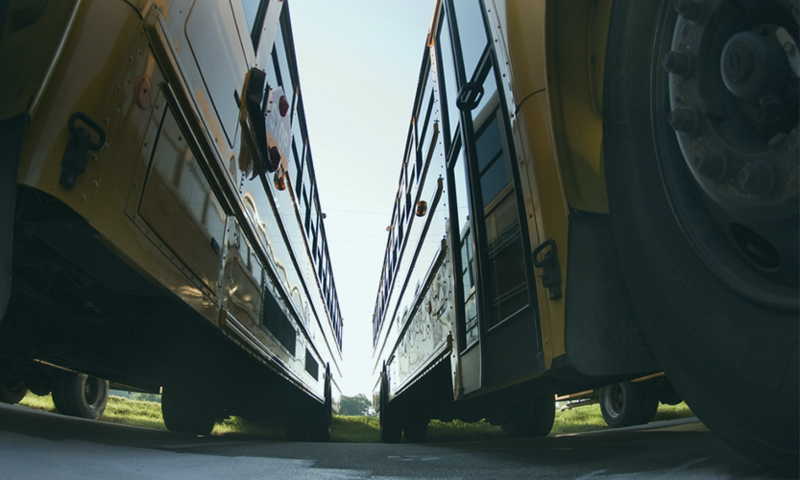 A strong U.S. economy has contributed to the notable shortage of school bus drivers. At the same time, state, local, and district budgets are tightening while the rising desire for more options and growing service requirements – magnets, school choice, school activities, the McKinney-Vento Homeless Assistance Act , ESSA , and more – increase the demand for drivers and the complexity of a school’s transportation system. More than ever before, routing efficiency and system design are essential to controlling both the need for drivers and the cost of services. It has become an article of faith over the last 20 years that technology would help address these problems by “optimizing” transportation service delivery. Technology has changed our expectations of the services we receive. Whether it’s buying coffee through an app, following a pizza delivery, ordering an Uber, or tracking school bus service for our children, society now expects real-time perfection and there is little, if any, tolerance in the marketplace for much less. However, the technological advancements in logistics and transportation that help drive routing efficiency are swiftly outpacing technology adoption rates. While it is widely known that GPS, bus tracking applications, routing software and even Wi-Fi can result in the direct reduction of buses on the road and therefore the reduction of drivers needed behind the wheel, the price tag associated with the implementation and onboarding of these technologies that is often a hard sell to school districts – especially those facing budget cuts. So how does this affect the driver shortage? First, it is important to remember that recruiting, hiring, and retaining quality school bus drivers has always been difficult. Split shifts, obtaining a Commercial Drivers License, and operating a large vehicle with your back to two classrooms’ worth of school-aged children is not for just anyone. Additionally, budget cuts have had a negative affect on vehicle conditions, driver wages, and operational support. When a department is short on drivers, they are often forced to use other staff – dispatchers, routers, recruiters, trainers, mechanics, and even managers – to drive the necessary routes. In some instances, teachers, coaches, and janitors are trained to cover in extremis, putting even more stress on the overall education system. It goes without saying that, when driving school buses, these staff members are not allotted the time needed to sufficiently perform their regular duties and are therefore unable to maintain an efficient and effective transportation system. This makes both increasing driver supply while reducing driver demand a more daunting task. Second, school start time decisions and policies like rider eligibility, student walking distances, and school choice further challenge a system’s capacity for efficiency. For example, a district may have three separate bell-time tiers but is only able to run three tiers with 30 to 40% of their route buses due to time constraints – the time may be limited by maximum ride time of the students or a lack of ample time between the tiers. Parents, administrators, and others in the community all become frustrated by the sight of a full-size school bus with only ten students onboard, but if it takes 55 minutes to deliver them due to the time or distance of the route and there are only 65 minutes between tiers, the options are not as clear when it comes to driving efficiency. The reality of the school transportation industry’s current environment is that we must address the broader issue of defining expectations for school transportation, while determining how we can support those expectations with highly integrated technologies and trained professionals. Only then will we be able to design transportation systems that have any chance of meeting the expectations of parents, students, and administrators. As mentioned earlier, GPS, bus tracking applications, and routing software – when used properly and to their full potential – can help reduce the number of buses on the road and thereby reduce the number of bus drivers needed. But the advent of “real-time technology” and the “Uberfication” of today’s society have increased awareness and familiarity with transportation in general, (e.g., Google Maps), resulting in a perception by the general public that transportation is “easy”. If I can track a package from drop-off to delivery, or a pizza from the moment it enters the oven until it is at my door, then surely, I should be able to track my child on their bus. More data can be collected now than ever before, but for technology to work for a school or school district, they must have the staff and resources required to analyze the data and make improvements. Routing software allows scheduling changes to be made more frequently and easily, but staff must be trained on its use. Similarly, school bus tracking applications are only as good as the data they are built upon, and a department’s GPS and routing data cannot be properly managed if the router or manager is tasked with driving a school bus. With the proper time and training, GPS, routing software, and tracking applications can all be used to locate opportunities to reduce driver demand and increase the overall efficiency of the transportation system. In the upcoming third and final installment in our series, we explore solutions to help organizations understand how a combined approach of technological expertise and creative retention strategies can go a long way towards solving the driver staffing crisis. > Read Part III: How Do You Get Out of the Hole?